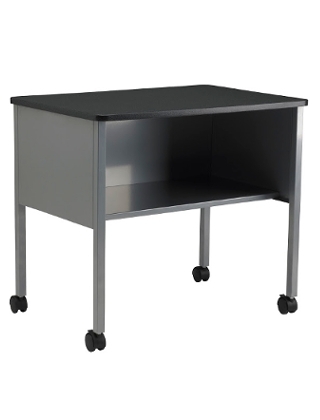 Mayline Word Processor Cart 2140CA has steel construction, thermafoil top and a 29"W x 14"D shelf. Provides 11 1/2"H opening. Square tubing legs with dual wheel casters, two with locks and a 200# weight capacity.